The PathStation™ macro digital imaging system makes it easy to capture, annotate, measure, and save high quality images of gross specimens in the frozen section room, and to share the images with specialists in other locations. 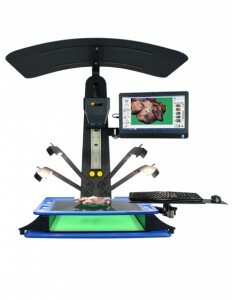 Its fully enclosed HD camera and touch screen monitor take up minimal workspace, and can be mounted in a grossing hood to preserve your grossing workflow. 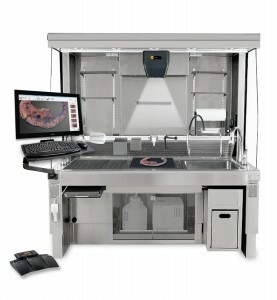 The PathStand™ is a free-standing macro digital imaging system that includes everything you need to capture and share crisp, detailed pictures of gross pathology specimens for frozen section consults, documentation, and reports. The integrated LED lighting, shadow-free background and custom cutting board create high quality HD images without hassles. Sharing images with colleagues is a one-click process, making it easier to do intraoperative and frozen section consults. Finally there is an imaging platform that provides all the positioning freedom you need to get full-body and close-up shots, from nearly any angle. 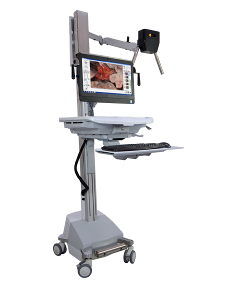 The PathMobile™ autopsy imaging system makes capturing professional, legal-quality images easy and secure.